That’s right, I’m podcasting again! And how about that, this isn’t even a horrible recorded-in-the-car-using-a-cell-phone-cast, either! …ok, I added that last one this year, since I turned 30. And now everyone who’s older than me can laugh at how the young guy thinks he’s old. Go ahead, it’ll relieve some stress. But seriously, as I look back on this past year I really slacked off on being a content creator. Compared to the year before I barely podcasted or blogged at all, and my Flickr photo postings have been sporadic, at best. This new year, my resolution is to fix that. You could say this episode is an early start on just that, but I need to set up a regular schedule again – and this time, I need to stick to it. Maybe even record shows early so I have a backlog in case of emergencies. We’ll see. 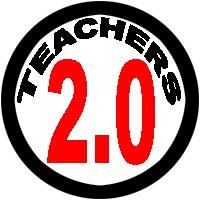 I’ve also tweaked the Teachers 2.0 Twitter account to make it, in my opinion, more usable. I used twitterfeed.com to set it up so that any time someone saves a link in del.icio.us and tags it “teachers20,” it’ll show up as a Teachers 2.0 tweet. The only glitch is that it has to be a NEW link – going back and adding the “teachers20” tag to old links won’t make them show up on Twitter. Of course you can still write something a little more in depth and post it on the Teachers 2.0 Ning site, and that’ll show up in the feed as well. I’m hoping that since we now have well over a hundred members we’ll start to see these services used a little more often. I have a lot more to say, but I still like the format of a short and sweet podcast, netcast, or whatever you want to call it, so I’ll just hold that over until next time. Hey, now I won’t have to brainstorm a new topic! Until next time, stay subscribed, fare thee well, merry Christmas, and happy holidays, everyone. I know what you’re thinking: DVD sub plans? What am I, nuts?! Well what if the DVD isn’t some Disney movie you got from Blockbuster the day before? (This happened to me more than once when I was a sub years ago.) What if the DVD relates directly to the curriculum the students are covering in class? What if the DVD was created by you? I think the best part about Mr. Meyer’s aforementioned (aforelinked?) blog entry is that he doesn’t make it too fancy. Yeah, yeah, he uses Final Cut Pro, but Lawrence Lessig does the exact same thing with iMovie. That means anyone with an out-of-the-box macbook (or iBook, Powerbook, or Macbook Pro) can do this with very little effort. If you want to get your more technophobic teachers to buy into using all these wonderful toys, this is one good way to do it. Now I’m not saying that they read my little rant about their last newsletter (although who knows? ), but this month’s Discovery Education Streaming newsletter’s survey question involved writing a sentence rather than selecting a single choice. How would you describe in one sentence what Discovery Education provides the education community? A much better way of doing it, I think. I think I need to blog more. Writing reactions to things is OK, but writing more than one post that reacts to a newsletter most people can’t read (I looked for a version on their site and couldn’t find it in the short time I had to search…) is a little, shall we say, redundant? More to follow, on different topics, I hope. 1. 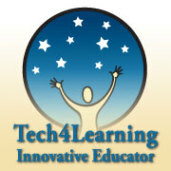 Which statement best matches your relationship with Educational Technology? *I have it working right now, so don’t touch anything. *Blogs, RSS, Web 2.0, Wiki – that’s what I do before school starts. *My VCR still flashes “12:00,” but it works just fine. There you go- that was the only question, those were the only answers. Granted, there’s a big difference between a 3rd grader who doesn’t know the difference between “can” and “may” and Discovery Education – but in both cases I don’t think they’ve asked the right question. Or, more accurately, I don’t think they’ve provided the right answers. So you see, my problem with the survey question is that there’s no answer I can pick that fits what I do with technology, and I know a lot of people who are in the same boat. Maybe I’m not Discovery Education Streaming’s target audience, I don’t know. I suppose that’s another reason why I’m looking forward to this weekend’s Powering Up With Technology conference. There I’ll find educators on every level of the technology spectrum, but we’ll all have one thing in common. It won’t matter if our VCRs are flashing 12:00, our current tech is working, or we love to use blogs, wikis, rss, and more outside (and inside!) the classroom. Every single one of us at that conference will be there because we want to do more. As I mentioned in my last post, I’ll be presenting at next weekend’s Powering Up With Technology conference. My topic of choice this year involves using cameras in the classroom. Now I’ve used cameras to help me teach all kinds of subject areas, and I have ideas for even more ways to use them, but I also know a lot of you have used digital cameras in your classrooms in ways that I haven’t. So I would like your input. If you have a moment, please check out my Digital Photography in Any Classroom wiki and see what I’ve left out. I’m not asking for you to complete everything, of course, but if you have a lesson idea that worked well I’d love to hear about it. Hey, if the results of that lesson (or at least an example) are posted online, why not just add in a link to wherever they are? I fully intend to continue editing this wiki up until (and including) (and past) the day of my presentation, but I would love to stand up there and tell my audience that the resource I’m providing was not just written by myself. Just got this in my email today, and I’m very, very happy about it. We are really looking forward to your presentation at the Powering Up With Technology Conference on Saturday, November 17, 2007. Registration will begin at 7:30 a.m. You are scheduled to present Digital Photography in Any Classroom in Classroom E 314 from 12:15-1:15. 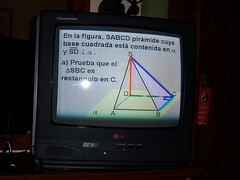 A computer and projection device will be provided in each room. You will also receive a continental breakfast and a complimentary box lunch. This year our conference will again be held at Northwestern High School, 7000 Adelphi Road, Hyattsville, Maryland 20782, 301-985-1820. Northwestern High School will be available for a trial run Friday, Nov. 16th from 5-8pm and for set up Saturday Nov. 17th from 6:30 am. A hospitality area will be set up in the Media Center where coffee and light refreshments will be available and materials may be stored. This year, we would like to make conference handouts and presentations available online after the conference. 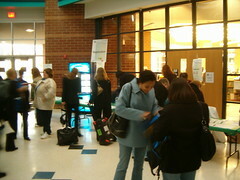 If you would like your materials posted, please email them to PGCPS.PoweringUp [at] pgcps.org. Exit Beltway at New Hampshire Ave/Rt. 650, South, towards Takoma Park. Continue on New Hampshire Ave. to Adelphi Rd. and turn left. Continue on Adelphi Rd., cross University Blvd and pass the University of Maryland. Continue on Adelphi Rd. to school on the right. I look forward to a very successful conference. A lot to say, but not a lot of time to type. This one’s a low quality car-cast done on my way home this afternoon. PETE & C! Same here! MICCA! I have no idea, but I hope so here, too! More web sites to be announced later! The truth is that I have been procrastinating (a bit), but I’ve also been diligently working on other projects at the same time – ones that did in fact wear me down and/or lower my creative potential. 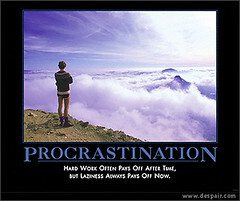 Those projects aren’t done, but I’m ignoring them for a half hour or so. I owe you that, at least. I also had the bright idea of recording this as a podcast, but so far every time I was inspired to do so I either did not have the time, was in a public place (odd that a ham like myself gets nervous about such things), was in an environment that provided too much background noise (don’t ask about my car – please), or a combination of all of the above. So here you go. We’re caught up to today, so let’s move on. 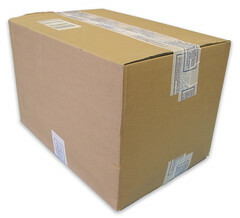 Lately I’ve been thinking a lot about boxes, most likely because of my recent move. As most of you know, moving requires you to scrounge a lot of boxes in which you can place everything you own so that you can move it from point A to point B. Since my wife and I are both packrats, that adds up to many, many boxes. When we started we had a system – a box for linens, a box for winter clothes, a box for books (ok, that was more like ten boxes…), and so on. We had everything categorized. Of course it didn’t end that way, but that was the plan. So why am I rambling on about this? Because schools are boxes, too. Every day I walk into a school (box), step into a classroom (box in a box), and teach a subject (box in a box in a box). Thankfully the Interrelated Art program I’m in requires me to teach art lessons that reinforce other subjects. Through those I get to poke some serious holes in at least some of the boxes … but the boxes are still there. I’m not the only one thinking of boxes either, as shown in this chat log from a recent webinar. I’m ending with this, because I was a participant and I think it says what I’ve been trying to say. Ahh…losing time or thinking outside the box? No box might be nice depending on how you look at it! It’s what many teachers are afraid of. Some people, finding that they are outside the box, then build a new one for themselves. we often do set up limitations on self! Ohh…deep thinking Aaron. Then I guess we step outside that box again! Teryl, the box is a comfort zone. I wouldn’t destroy it if they need it, but I would install lots of windows and a really big door. The rumors of my demise … yadda yadda yadda. No video this time, just an unedited monologue recorded with my newest gadget (see below). Sorry for the delay. I blame end-of-school-year-hassles, a trip to PA, a new apartment, and something else. I have a new toy: The Creative Zen V Plus! I used it to record this podcast, as a matter of fact. Alas, Creative doesn’t make any software or drivers that make the Zen V Plus Mac compatible. Fortunately, these people made an open source program that gets the Zen onto my Mac! It’s easy to censor yourself. When you post a link, you have no control over that site. You’re not just linking to that site now, but 3 months from now and 3 years from now.